Avraham: On my first day as a soldier in a technology unit of the IDF, I received a HUGE Oracle 8 book and a very low-level design of a DB-based system. “You have one month,” they told me. I finished it all within ten days. Before that, I didn’t even know what a DB was. Today, I’m at Wix managing hundreds of databases that support 100M users! Percona: You’re presenting a session called “Orchestrating ProxySQL with Orchestrator and Consul”. How do these technologies work together to help provide a high availability solution? 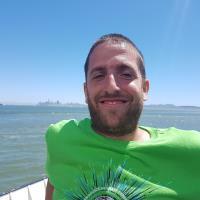 Avraham: ProxySQL is supposed to help you out with high availability (HA) and disaster recovery (DR) for MySQL servers, but it still requires some manual labor when the configuration changes – as a result of a network split, for example. Somehow all ProxySQL servers need to get the new MySQL cluster topology. So to automate all that, I added two more parts: a Consul KV store and a Consul template, which are responsible for updating ProxySQL on every architecture change in the MySQL cluster. Percona: What is special about this combination of products that works better than other solutions? 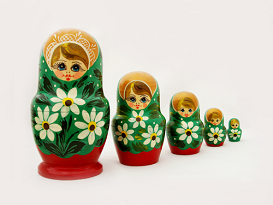 Is it right all the time, or does it depend on the workload? Avraham: As DevOps I prefer not to do anything manually. What’s more, no one wants to wake up in the middle of the night because any one of our DB servers can fail. Most everyone, I guess, will have more than one ProxySQL server in their system at some point, so this solution can help them use ProxySql and Orchestrator. Avraham: I am hoping to help people automate their HA and DR solutions. If as a result of my talk someone will earn even one minute off downtime, I’ll be happy. Avraham: In the DevOps and open source world, it’s all about sharing ideas. It was actually when I attended the talks by ProxySQL and Orchestrator’s creators that I thought of assembling it all up to solve our own problem. So I am looking forward to sharing my idea with others, and getting input from the audience so that everyone can benefit. Want to find out more about Avraham and RDS migration? 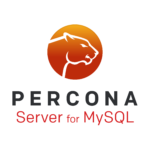 Register for Percona Live Europe 2017, and see his talk Orchestrating ProxySQL with Orchestrator and Consul. Register now to get the best price! Use discount code SeeMeSpeakPLE17 to get 10% off your registration. was executed 1000 times. 25 times it failed with error code “1212”, and eight times it failed with error code “1250”. Of course, the traditional way to store this in relational data would be to have a table "Date, QueryID, ErrorCode, ErrorCnt" and then perform a JOIN to this table. Unfortunately, columnar databases don’t perform well with multiple joins, and often the recommendation is to have de-normalized tables.
? 2017-08-17 ? 5 ? SELECT foo  ? ['1220','1230','1212'] ? [5,6,2]         ?
? 2017-08-18 ? 5 ? SELECT foo  ? ['1220','1240','1260'] ? [3,16,12]       ?
? 2017-08-17 ? 5 ? SELECT foo  ? 1220             ? 5    ?
? 2017-08-17 ? 5 ? SELECT foo  ? 1230             ? 6    ?
? 2017-08-17 ? 5 ? SELECT foo  ? 1212             ? 2    ?
? 2017-08-18 ? 5 ? SELECT foo  ? 1220             ? 3    ?
? 2017-08-18 ? 5 ? SELECT foo  ? 1240             ? 16    ?
? 2017-08-18 ? 5 ? SELECT foo  ? 1260             ? 12    ?
? 5 ? 1212             ? 2    ?
? 5 ? 1230             ? 6    ?
? 5 ? 1260             ? 12    ?
? 5 ? 1240             ? 16    ?
? 5 ? 1220             ? 8    ?
? 5 ? [('1230',6),('1212',2),('1260',12),('1220',8),('1240',16)] ?